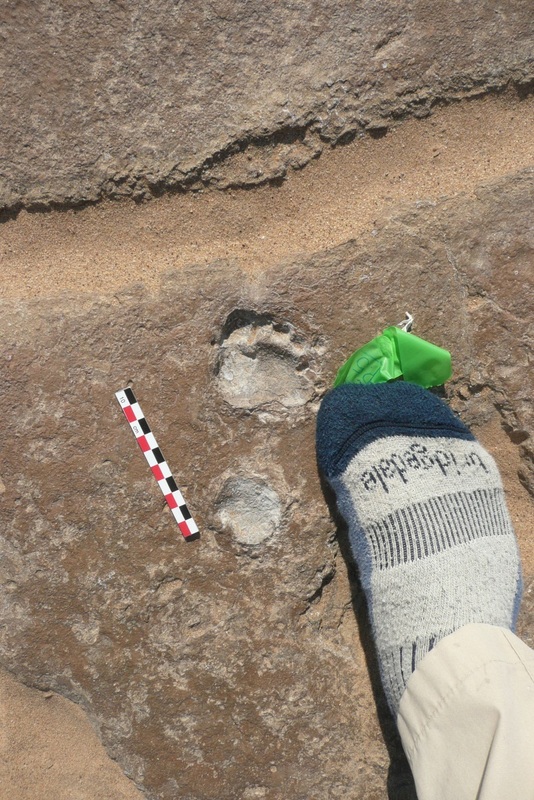 In our next ‘Photo of the Week’ we are looking at research examining preserved footprints in Africa. This research is being led by BU’s Professor Matthew Bennett, a Professor of Environmental and Geographical Sciences. This child’s footprint is over 1500 years old and is preserved in baked flood silts now found in Namibia. It is one of a few hundred tracks made by children ranging in age from as little as 5 to perhaps 15 years old as they walked playfully behind a small flock of sheep and goats. The preservation is so remarkable you can still see the whirls and callouses on the toes and heel. 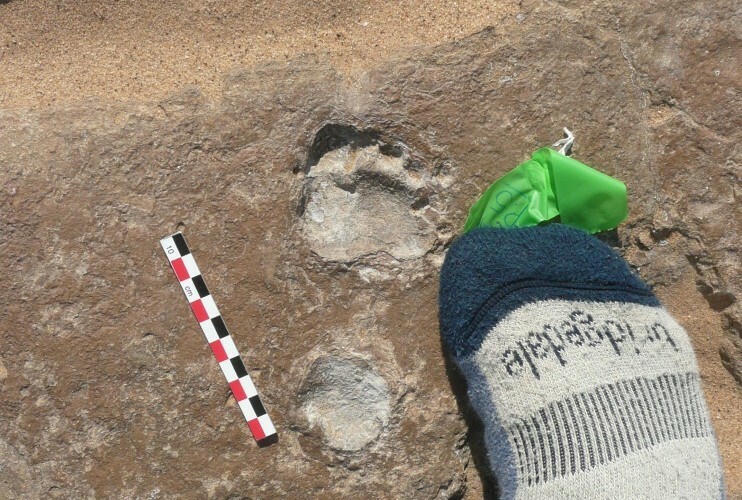 It is part of on-going footprint research being undertaken at BU as part of the Institute for Studies in Landscape and Hominin Evolution which is a new research institute being launched in February 2015. For more information about the project, email Matthew for further details. You can also find out more about the Institute for Studies in Landscape and Hominin Evolution here. This was an entry to BU’s first research photography competition and you can view the entries to the most recent competition here.